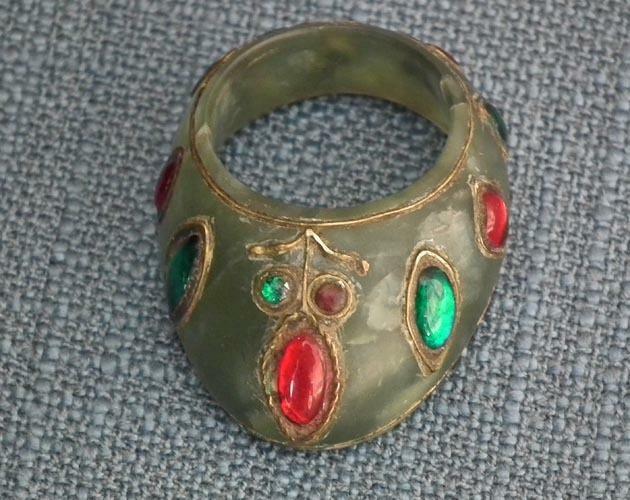 Indian Archer Thumb Ring Zihgir India, 19th - 20th century. 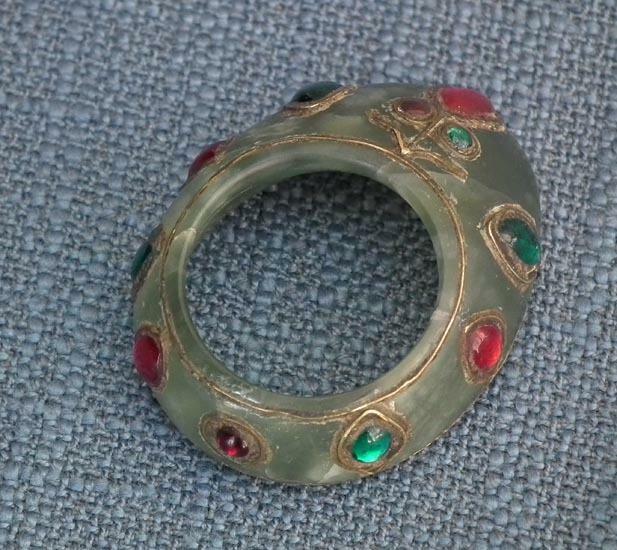 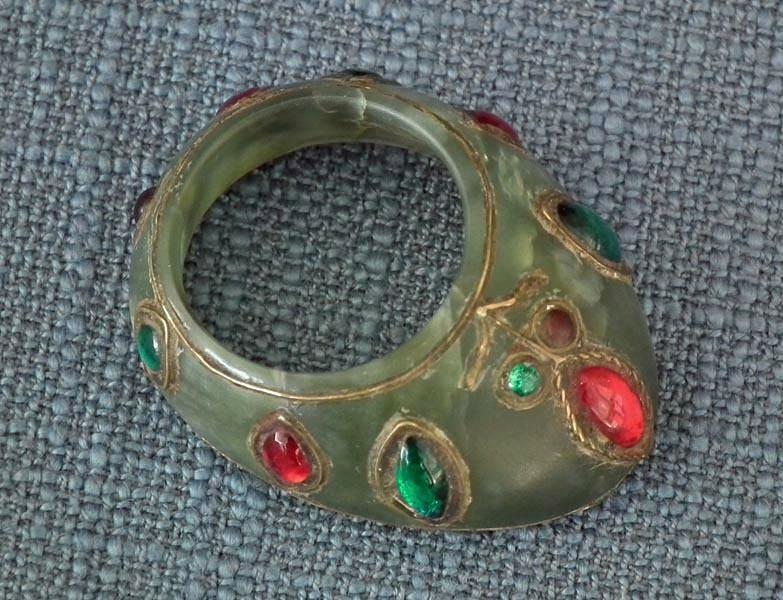 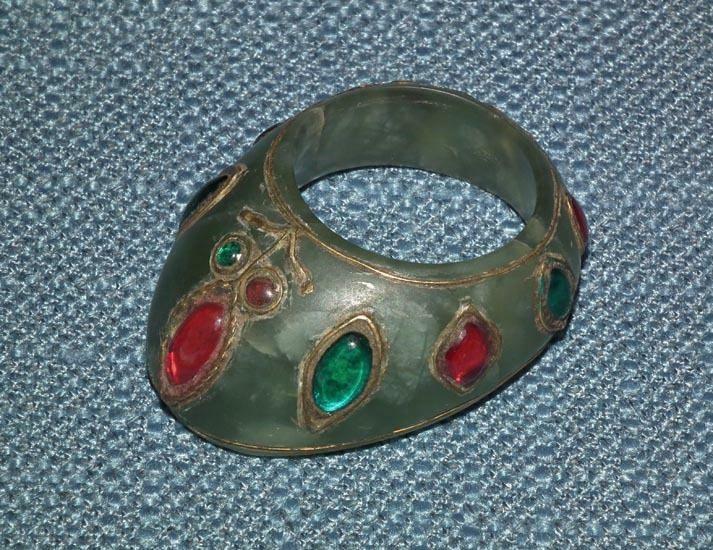 The ring is made in the 16th -17th century classical Mughal form, carved of a veined green Nephrite Jade, inlaid with metal wire and set with 8 cabochons and 3 small, oval, red and green jewels. 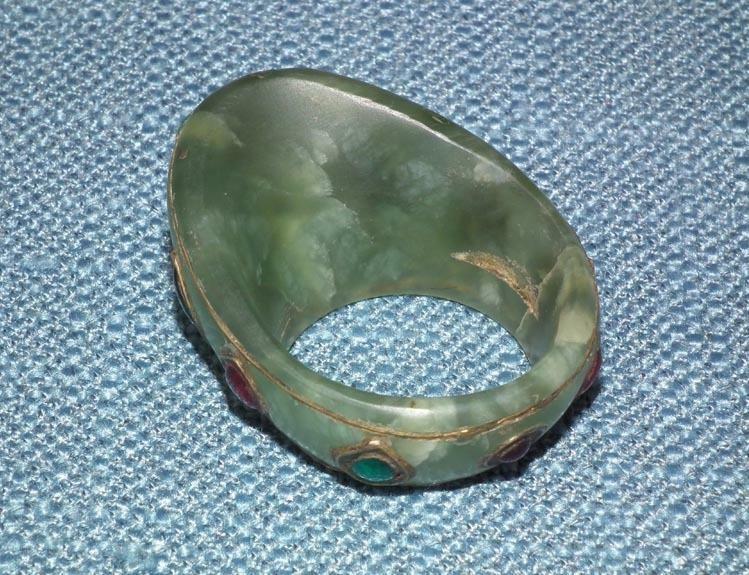 MEASUREMENTS: Overall length 4.5 cm (1.77 inches). 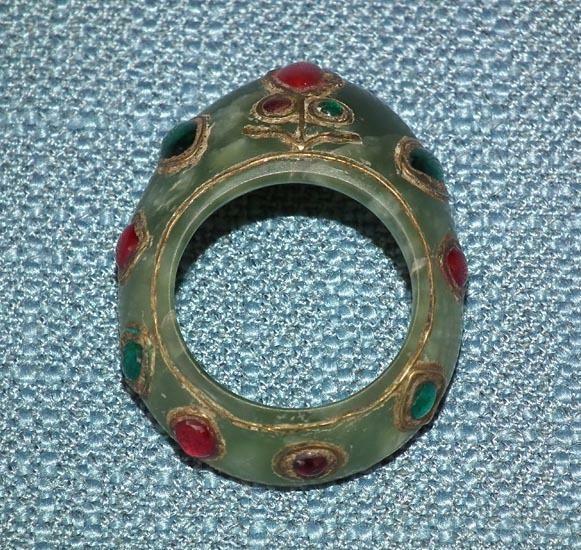 The inner ring diameter is around 2.2 cm (0.87 inches). 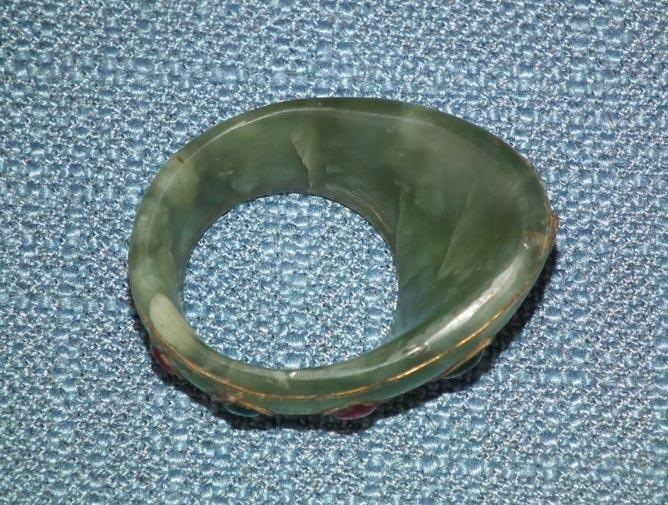 CONDITION: The Jade has its natural imperfections (inclusions).